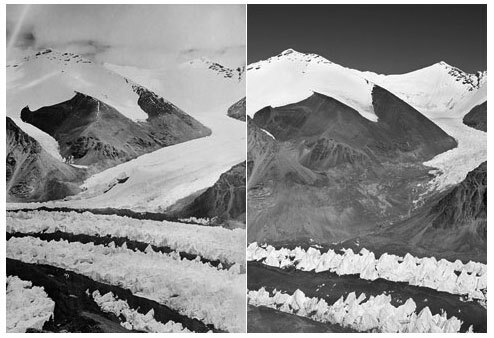 Photographs of East Rongbuk Glacier, 1921 (left) versus 2008. A little over a year ago I put up this post on the transformation of glaciers in the Himalayas under the assault of climate change. At the photo blog at The New York Times you can find this announcement for an exhibition of similar work by David Breashears.